Free half-hour concerts take place every Thursday at 12.00 noon. A carillon is a chime that is played by a performer, the carilloneur, or an automatic mechanism. In the 17th century carillons on church towers were a popular fashion in Europe. At the time, the Hauptkirche St. Nikolai also boasted an impressive carillon with 25 bells. It comprised two complete octaves and played twice a day for half an hour to the delight of passers-by in the inner city. Drawing on this old tradition, St. Nikolai Memorial initiated the installation of a carillon on the spire of the church ruin in 1993. 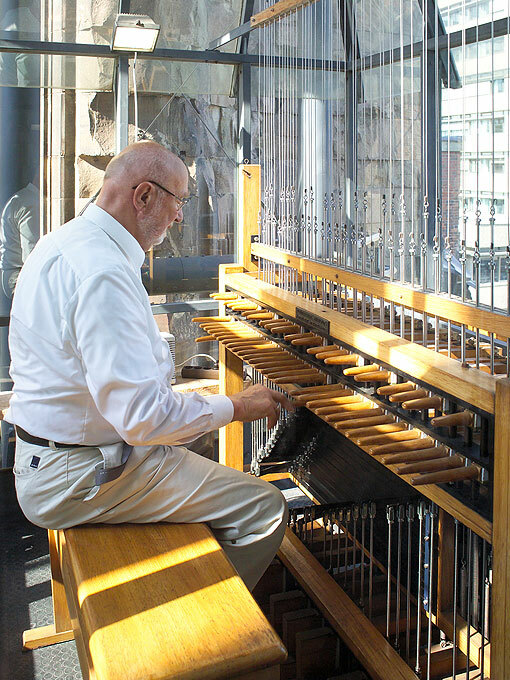 The carillon, which was financed with generous private donations, was mounted at the place where prior to the church’s destruction in 1943 the organ used to be. From the area of the former nave one can see the exposed bell frame which includes 51 bells with a total weight of 13 tonnes. 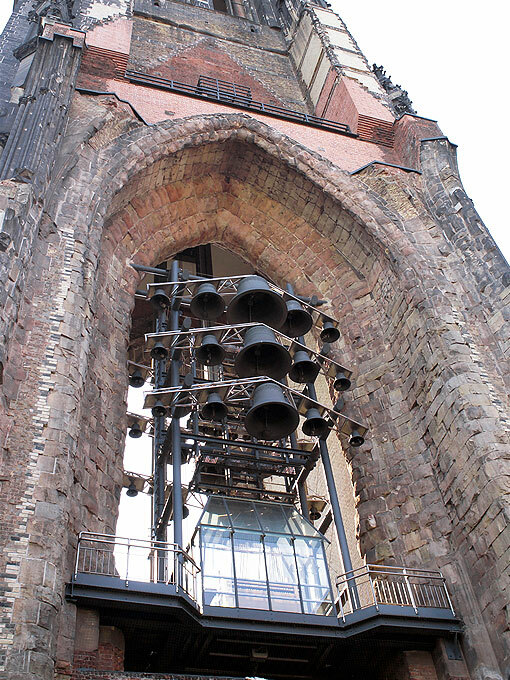 The pitch comprises more than four chromatic octaves, making St. Nikolai’s carillon one of the largest in Germany. The carillon is played from a cabin placed in the centre of the instrument. There is a console – very similar to that of an organ – whose batons (or keys) are connected to one bell clapper each through wires. This design enables the carilloneur to sound the bells both ‘forte’ and ‘piano’ and play tunes with variable dynamics. This feature distinguishes a manual carillon from those that are exclusively sounded by an automatic mechanism, and the difference is clearly audible. 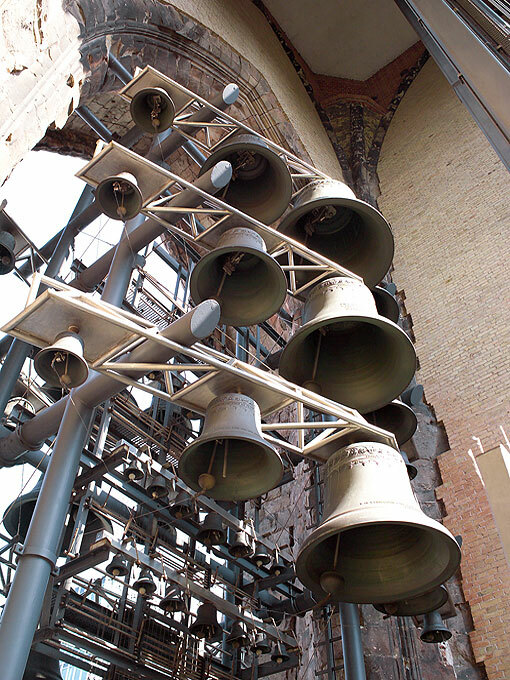 The carillon at St. Nikolai Memorial can be played both manually and automatically.